Integrate your station with Mixcloud to instantly publish your live DJ mixes. 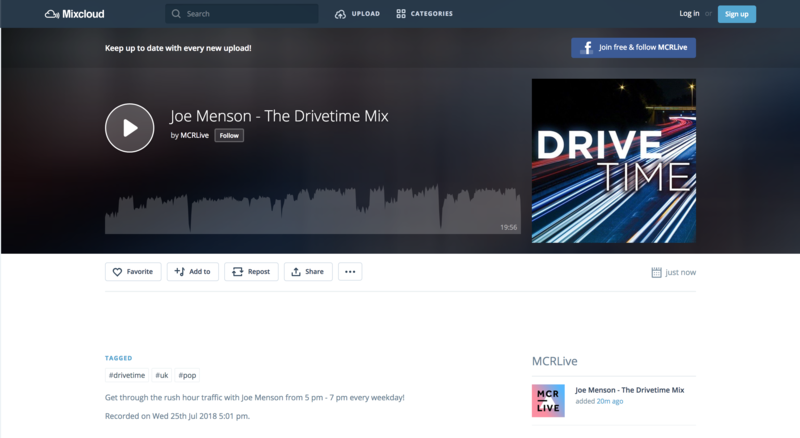 Mixcloud is a popular platform for discovering and sharing DJ mixes and recorded radio shows. Available on iOS, tvOS, Apple CarPlay, Android and the web, it's a great tool to provide on-demand content to your listeners. 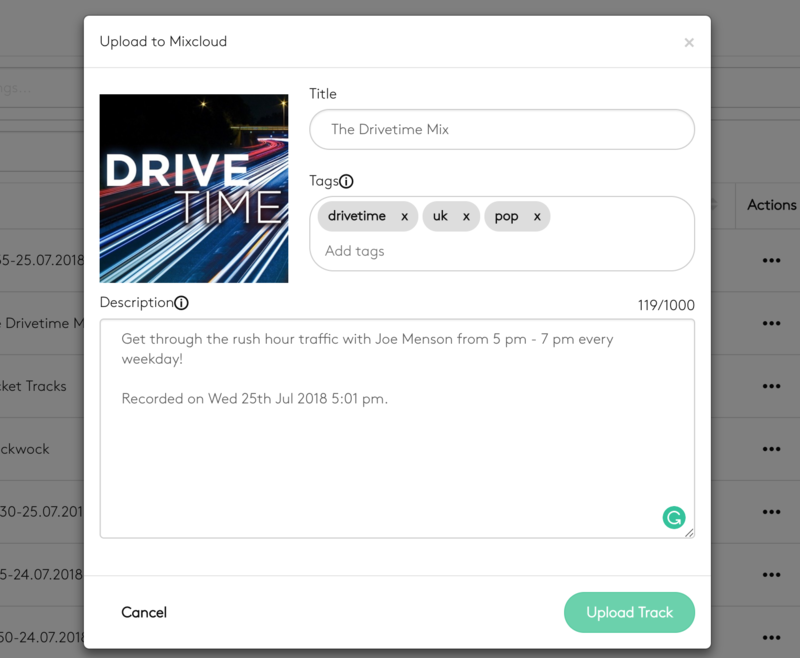 With Radio.co's Mixcloud integration you can publish your pre-recorded live events or uploaded DJ Mixes directly to your profile with just a few clicks. Your station must be on the Bronze or higher plan, Lite is not supported. You can upgrade by heading to Settings > Billing > Change Plan in your dashboard. If your station has collaborators, anyone with Music Controller or above roles will be able to publish to Mixcloud. You must have a Mixcloud account in order to use this service. You can sign up free of charge on their website: mixcloud.com. Once you have an account, in your Radio.co Dashboard head to Settings > Integrations. Here you will see the Connect Mixcloud Account button. Click it to link your account and authorise the 'Radio.co Publisher' app. Once connected you will be redirected back to your Radio.co Dashboard. Mixcloud does not allow single songs to be uploaded. Any uploaded tracks must be at least 20 minutes and consist of multiple songs. Only recordings created within Radio.co can be uploaded using the Mixcloud Integration. 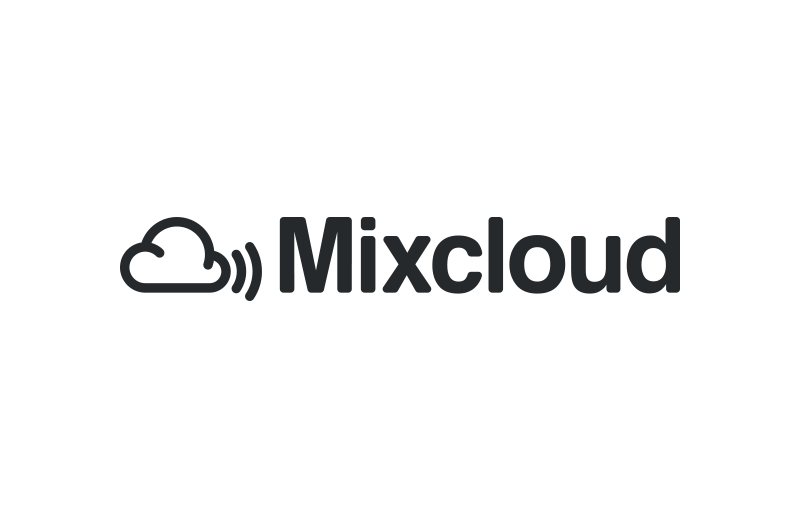 Content which violates Mixcloud.com's terms of service may be removed from their service. If you want to publish a DJ mix you have uploaded to Radio.co, head to Media > Tracks and locate it in the list. Remember the file must be over 20 minutes in length. If you want to publish a live recording made within Radio.co, head to Media > Recordings. The same 20 minute minimum length applies. If you want to upload custom artwork, Click the Actions (...) button next to the recording you wish to upload then click Recording Editor. Here you can change the title, artist and artwork. Click Save when complete. Here you can edit the track title, add comma separated Mixcloud tags and a description for your Mixcloud page. To publish, click Upload Track. This will begin the upload process. Once an upload is complete, if you head to Publish to Mixcloud within the Actions (...) menu again, you will find a direct link to the mix. You can also reset the track in your media library. 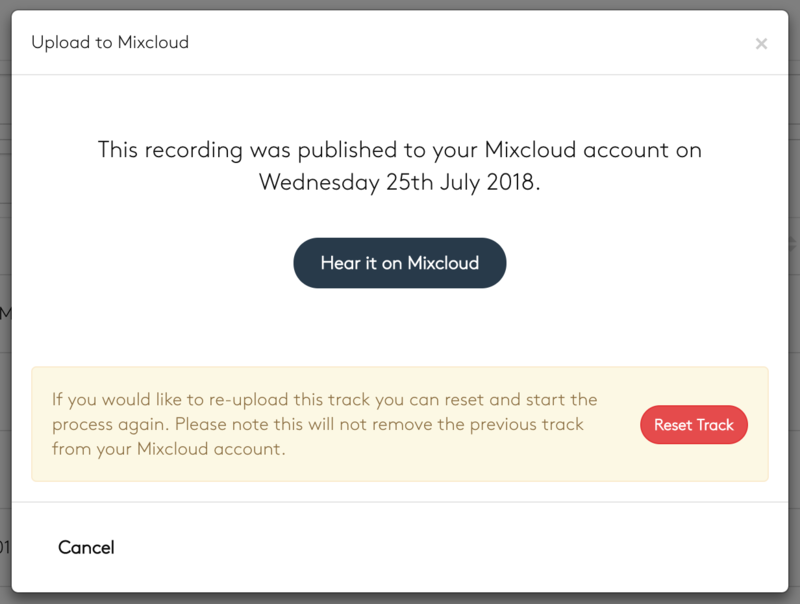 This is useful if you want to upload a track to a different Mixcloud account.